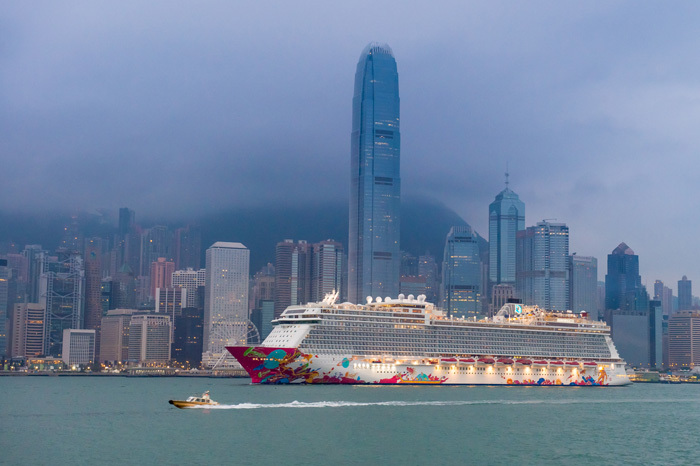 A few days ago Dream Cruises, the first ever Asian luxury cruise line, claimed its place in history when Genting Dream arrived in Hong Kong before sailing to her christening ceremony in Guangzhou (Nansha). 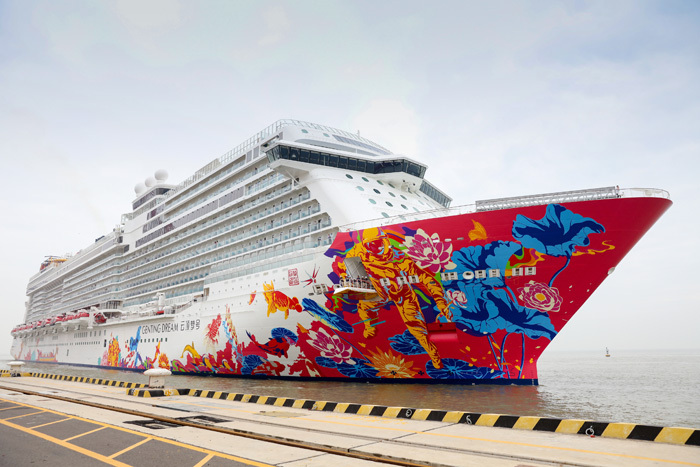 Genting Dream’s Godmother, Puan Sri Cecilia Lim, the wife of Tan Sri Lim Kok Thay, Chairman and CEO of Genting Hong Kong, christened the vessel before an assembly of prominent officials from the Chinese government as well as top executives from trade and industry by placing a giant lotus flower, symbolising the company’s close ties and commitment to Asia, and smashing a bottle of champagne against Genting Dream. 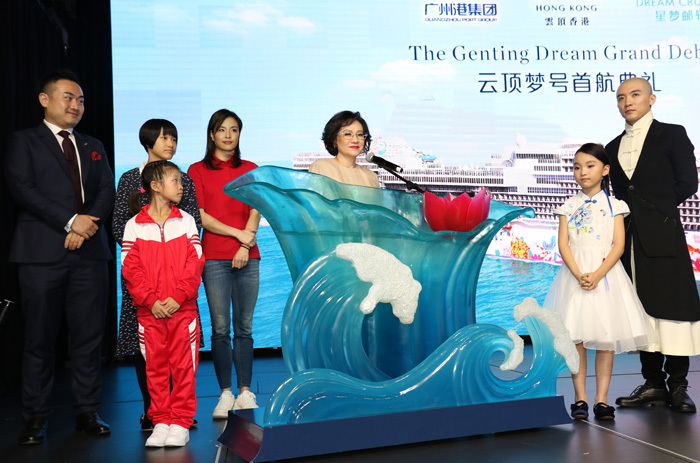 After the time-honoured exchange of gifts, guests were treated to a preview of Dream Cruises’ signature production show inspired by the hull art of Genting Dream, entitled “Voyage of a Lover’s Dream”. 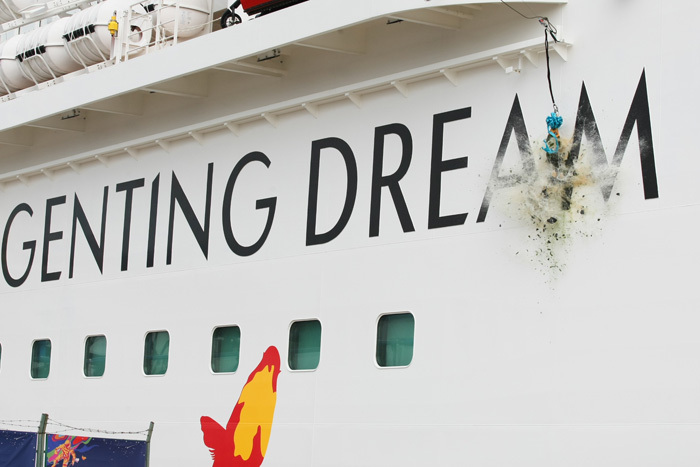 Conceived by pop-art artist Jacky Tsai, this is a story of love, hope and the overcoming of seemingly impossible bounderies between a mermaid and an astronaut. Following the launch and christening ceremonies guests were welcomed to lunch at one of the ship’s many fine-dining eateries, before being invited to join a guided tour, exploring the ship’s array of attractions and amenities, including the extensive Dream Palace facilities, Zouk Beach Club, waterslide park, Crystal Life Fitness and Spa, “Bistro” by Mark Best, Johnnie Walker House and the little Panda’s Club. 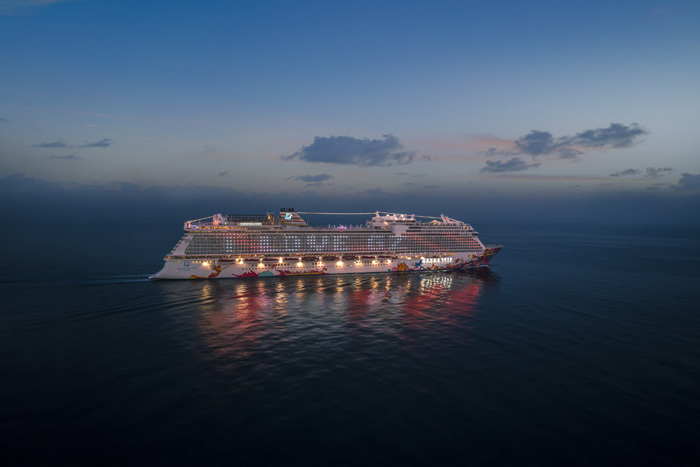 Later in the evening, when Genting Dream set sail on her maiden journey she wowed local onlookers with “I love Guangzhou” emblazoned across her decks in a kaleidoscopic display of her state-of-the-art LED lighting system.